We may receive a commission if you purchase something mentioned in this post. See more details here. From Kosher to gluten-free to dairy-free, there are those recipients that cannot enjoy the garden variety gift baskets. Unfortunately, not all gift basket merchants out there understand or appreciate these unique restrictions on your gifting. That is why we looked far and wide to find a list of what we believe to be the five very best for specialty baskets. These merchants cater to those that need Kosher goods, organic, gluten-free, vegan and even dairy-free baskets to suit your recipient’s needs. 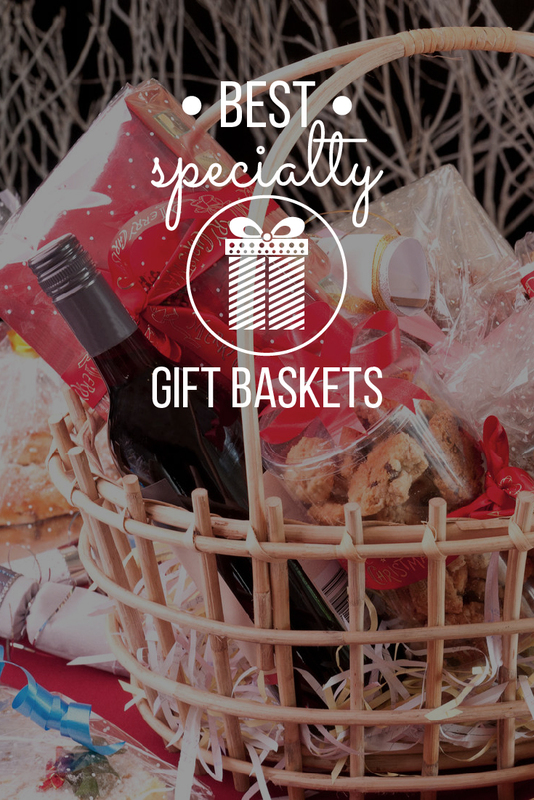 Gourmet gift baskets with decades of experience. Harry & David is one of the largest gift and gourmet food merchants online and you would expect them to cater to all of those special needs. They have a large selection of gift baskets available online for those shopping for those with special needs. While they do not carry every specialty need out there, they have a large selection of baskets for those seeking organic, Kosher, vegan and sugar-free options. At this time, they do not have baskets specifically for those seeking gluten-free treats, but you could easily order a fruit or cheese gift basket and receive gluten-free items. These specialty baskets are priced similar to their regular baskets and they don’t charge extra for them. You can find plenty specialty baskets for under $50, but most will start at about $30. Looking for a corporate gift for someone with special dietary concerns? You can contact Harry & David’s business concierge to order your specialty basket – including gluten-free specific. Free shipping, tons of gift baskets to choose from. Gourmet Gift Baskets specializes in gifts for the gourmand in your life. They only use the finest quality products, wines and more and stuff their baskets to capacity – so you feel as though you are getting your money’s worth. When it comes to specialty baskets, they have an impressive selection. Gourmet Gift Baskets has one of the largest selections of Kosher gift baskets we have seen and they also have an extensive inventory of baskets catering specifically to those shopping for gluten-free. Because the population of those with gluten sensitivities and Celiac disease is growing in the United States, having an extensive inventory is important. While some merchants will offer just one to five baskets, they literally have dozens that meet specialty concerns. They also have a large variety of baskets that can be used for sugar-free diets and they have organic fruit baskets as well. Gourmet Gift Baskets offers free shipping on some baskets, and the majority of their specialty baskets cost over $50, but they do have a few for less than $40. You could get same day delivery. 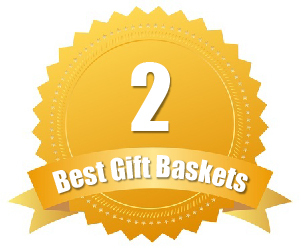 A large majority of the baskets offered by Gourmet Gift Baskets can be ordered and shipped out the same day. Creative gourmet gift baskets for foodies. iGourmet specializes in the finest quality foods and exquisite edibles. They have chocolates, cheeses, wines and even charcuterie. When it comes to specialty diets and other concerns, iGourmet understands that not all of their customers and recipients can handle gluten and some have specific needs – like vegan or Kosher. That is why they have expanded their inventory to suit those types of concerns. With iGourmet, you will find gluten-free baskets, Kosher baskets, vegan, organic and sugar-free. They have a large variety of products that can also be used while creating your own basket so that you can make a fully Kosher or 100 percent gluten-free basket for your recipient. If you choose to create a custom gift basket through iGourmet, it starts at $19.99 and goes up depending on what you add. If you pick a premade gift basket, you will find plenty for under $50, but some of the best specialty baskets fall under $100. Don’t forget to check out their clubs! iGourmet has a large selection of monthly club options including their international cheese, bacon of the month club, olive oil, and their coffee of the month club. Customized gift baskets and personalized experiences. WineBasket.com tries to change how you order gift baskets online. While they do have a great selection online, they also offer their customers their concierge service so you can order custom gift baskets. When it comes to their specialty baskets, they offer Kosher, sugar-free, and organic baskets. Online you may not feel as though their inventory of these baskets is as impressive, but you can still call and order via their concierge service to create a 100 percent Kosher, organic or sugar-free basket. They do not have any gluten-free or vegan baskets, but you will still find plenty of options that can suit those dietary concerns. They have specifics on each basket as to what items are included, so you could easily find a vegan-friendly basket even if it was not originally created for vegans. The majority of the specialty baskets you order from WineBasket.com will average $50 to over $200, though they have a select few that fall under $40. Want to change out items in a basket so they are specialty friendly? You can find a premade basket and then call WineBasket.com’s concierge service to swap out products. 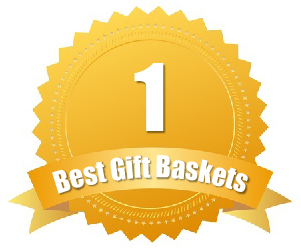 GiftBasket.com offers gourmet wine, cheese, food and non-edible baskets that suit just about every occasion and need. 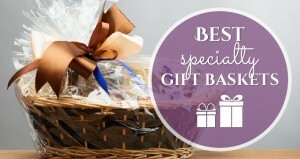 GiftBasket.com focuses on gourmet gifts, wines and fruit baskets. Most of their baskets already fall into specialty categories on their own, but they also have baskets specifically designed for those with dietary concerns and more. With GiftBasket.com, they have organic baskets – including organic wines and their fruit baskets. They also have a variety of gluten-free baskets for those with Celiac disease or gluten sensitivities. They take time to construct baskets that can also be used for vegans and those that need sugar-free products (though the baskets are not specifically advertised as such). While you cannot create your own, you can also add on to their baskets to make it more gluten-free friendly or specialty diet friendly. 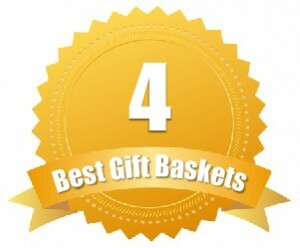 Most of the specialty baskets offered by GiftBasket.com will start around $50 and move up to as much as $150. If you choose to add-on to your gift, you will pay more depending on what items you add to the basket. Want to save on shipping? 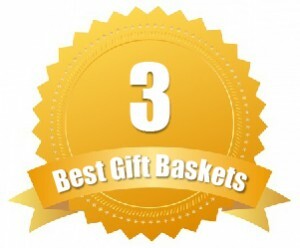 Most of the baskets offered by GiftBasket.com come with free ground shipping!